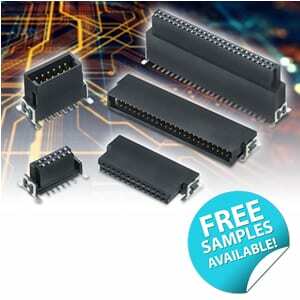 The innovative structure of the FX18 connector features advanced multi-functional contacts that consist of ground contacts, power supply contacts and three-step sequential contacts. The ground contacts provide superior enhanced grounding properties and are strategically positioned next to the differential pair contacts to reduce crosstalk. 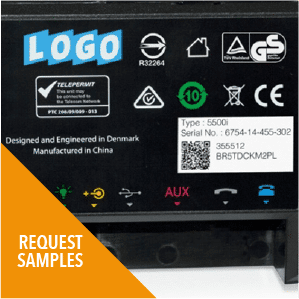 The power supply contacts offers up to 3A (amps) per pin which means that the signal contacts do not have to be used for power and the pin count requirement can be reduced saving valuable space. A total of 12A can be used. The three-step sequential contacts are set back in different positions within the housing so that the ground contacts make first contact, followed by the signal contacts and finally the contacts for the detection of the mating contacts. Six through hole pins are provided to increase the board retention force of the connector to the board to allow strong resistance to wrenching forces. The FX18 series also features large mating guides on the header to provide a smoother, secure and user friendly mating operation. Incorrect insertion is prevented with keyed guides with integral chamfers. 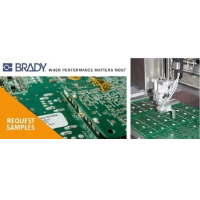 Visible solder joints, space for rework and the option of pin in hole intrusive reflow permits reduced manual soldering process time. 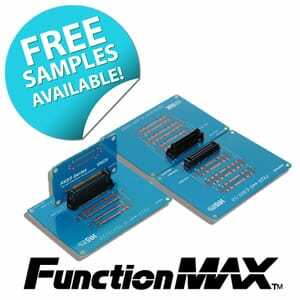 FX18 series is part of the FunctionMAX product family. 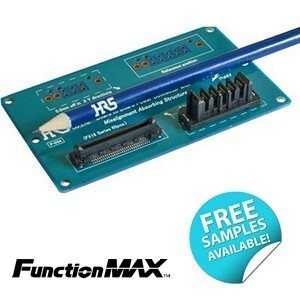 FunctionMAX consists of board-to-board connectors designed to meet the requirements of the industrial market with maximum functionality. The FX18 series is suited to a wide range of applications where mixed power and signal lines are used including medical devices, communications equipment, video equipment, displays and industrial equipment.